Beauty & All That: KlutchClub Beauty Box for Loyalty Members! KlutchClub Beauty Box for Loyalty Members! The KlutchClub monthly subscription box debuted last April and I've followed their boxes ever since! They offer quality health and fitness products to help with your own personal fitness routine, diet and/or lifestyle. 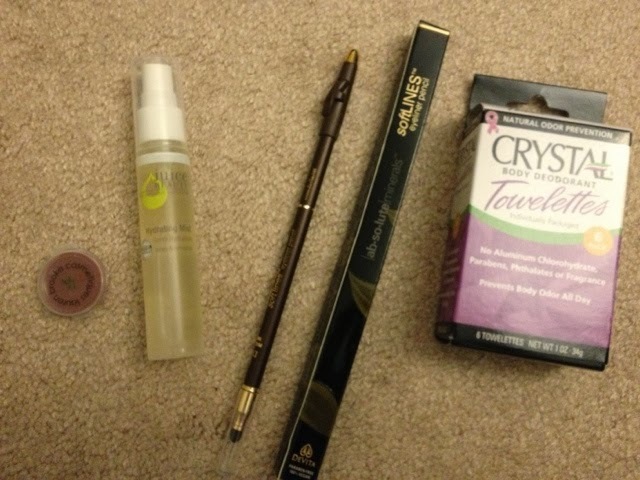 I believe I had entered some surveys to earn points and I finally redeemed it for a Beauty Box. They offered a few others I was interested in, such as Snacks & Teas and a Bar Box, but decided I would get the Beauty Box, of course! The picture on the redemption site was rather small and fuzzy so I could only make out a few of the items I would get. I did notice that I got a few replacement items, but it doesn't matter.. this box is AMAZING! * Lauren Brooke Cosmetique lip gloss sample- smells yummy and it's so moisturizing. Don't expect to get this color though, it's very sheer. 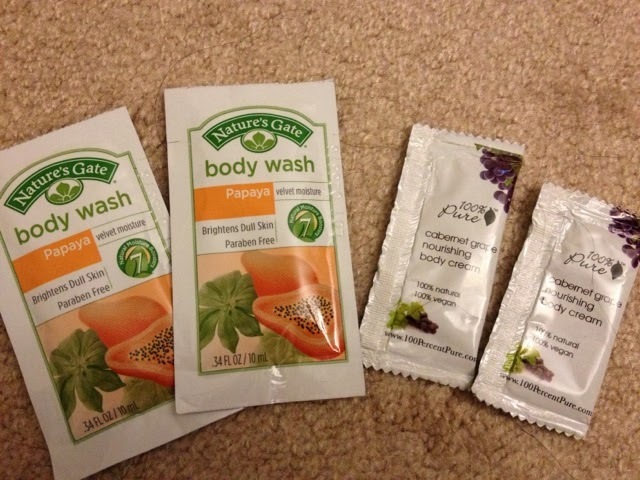 * Crystal Body Deodorant Towelettes- natural deodorant w/o aluminum ! 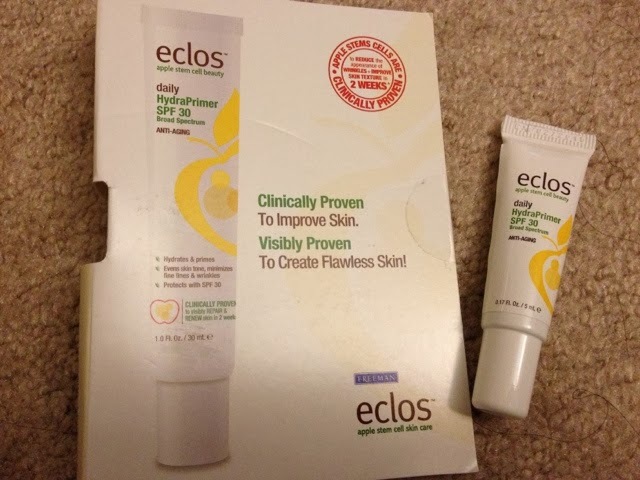 Eclos HydraPrimer SPF 30- using their cleanser already and this is a great addition to my current skincare. More goodies below, including: c.Booth's bath/shower/hair wash in rosemary Mint, Tree Hut's Shea Sugar Body Scrub, Giovanni conditioner (where's the shampoo?) 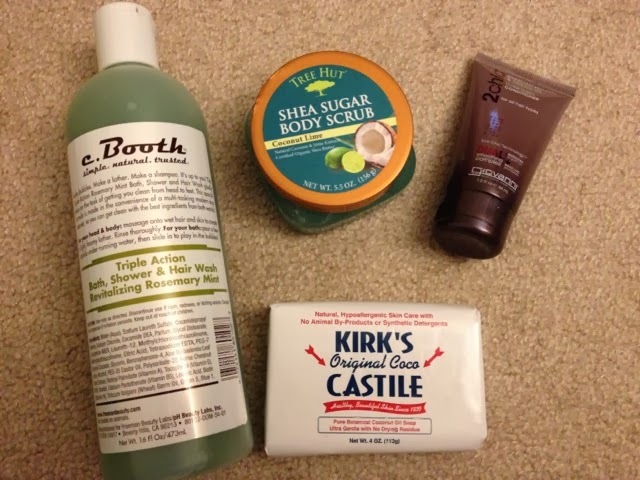 and Kirk's Castile soap (which I'm currently using). 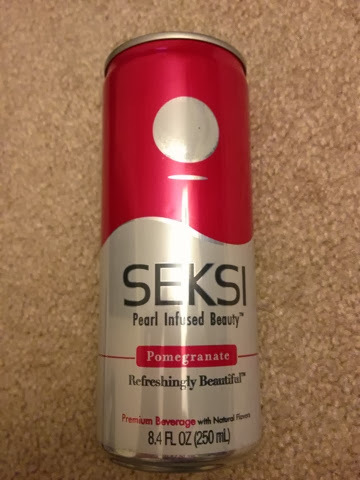 I got thirsty and already drank my Seksi Pomegranate drink.. this fizzy drink quenched my thirst. I normally wouldn't get this, as I'm usually a tea, water or plain ol' juice kind of gal, but this was good. HauteLook's Fall Beauty Bag- On Sale Monday! Wantable Boxes: Makeup, Accessories & Intimates!